Nicole believes in the power of yoga. Raised in Northeast Philadelphia, Nicole connected to the spiritual aspect of yoga in college. After graduating from La Salle University, Nicole had 12 years of experience working in the media and entertainment field. There was always a deep connection for her after a practice on the mat. Nicole made changes in her life by studying the deeper meanings of yoga to understand this connection; a personal journey discovering how to heal, to learn to live in the present and to live without pain. Nicole utilizes her communication and marketing background to enliven her dharma of helping others find their path. Nicole completed her first 200 hours of training with One-Yoga, a Yoga Alliance registered school in Wilmington, DE; she is currently working towards completing her 500 hour certification. 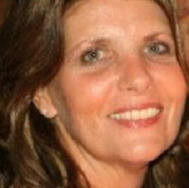 Colleen has been teaching yoga in Chester County, PA since 2004. She is the Director at Seva Power Yoga, a vinyasa studio in West Chester, where she leads classes and teacher trainings. She is a yoga provider for Unite for HER, a nonprofit that supports women diagnosed with breast cancer and offers alternative healing modalities in addition to the standard of care. Colleen has participated in many trauma sensitive trainings and has been active in yoga service since 2010. She leads yoga and mindfulness classes within the criminal justice system, in recovery centers and to adolescents in behavioral health settings. In 2016, Colleen co-facilitated a 200 hour yoga teacher training within a maximum security prison as part of the Transformation Yoga Project team. Her work in yoga service continues to be a source of inspiration, joy and growth. Anna wholeheartedly believes in the power of yoga to transform one’s life in all aspects: physically, mentally, emotionally and spiritually. Yoga helped her become whole. Recognizing it’s healing powers, Anna began her 200-hour foundational teacher training studies in order to be able to encourage others to find their own path towards presence utilizing yoga and mindfulness skills. While she was studying yoga, Anna also pursued a Master’s Degree in Public Health at Drexel University. There, she researched trauma-sensitive yoga extensively and wrote her thesis on assessment and evaluation recommendations for yoga programs. Anna helps support TYP’s growth and development and also teaches yoga for recovery classes. Brianne first began studying yoga and mindfulness at Temple University through an undergraduate degree in Eastern Philosophy and Visual Anthropology. Her deep love for philosophy and commitment to social justice brought her to pursue yoga teacher training so that she could build a life of connection and service. Since completing her 200 hour certification, she has focused primarily on continuing education in trauma sensitivity for youth and adults, yoga service, and activism with over 400 hours of continuing education. Brianna is an E-RYT, a trained facilitator in the Inside Out: Prison Exchange Program Methodology out of Temple University, and in Transformative Social Theory's Intergroup Dialogue techniques. She was also a contributor at the Yoga Service Council's Best Practices Symposium for Yoga in the Criminal Justice System. Brianne leads TYP's Criminal Justice Training, co-facilitates yoga teacher training in facilities and within other trauma sensitive workshops. Yoga service has been a catalyst for her own personal growth and transformation. She is ever grateful for the opportunity to connect with and learn from each individual who comes to yoga, for all of those who have practiced before her, and for all the teachers who continuously light the way. Cheryl has a background in the fields of addiction and higher education. In addition to her professional work, she is committed to working with those in recovery and struggling with addiction through yoga service. Her undergraduate degree from Penn State University is in Human Development and Family Studies. Cheryl completed her 200-hour Yoga Teacher Training at Enso Yoga Studio, and has completed the TYP Yoga for Trauma and Addiction Training. Having experienced a personal transformation through mindfulness, yoga, and recovery, Cheryl’s passion is to lead others down the path of wellness in mind, body and spirit. Michael D. Huggins is the founder and Executive Director of Transformation Yoga Project. He is specially trained in applying yoga practices for addiction recovery and trauma-related issues. Michael is a registered yoga instructor (200 RYT) who has been practicing yoga since 2002. He is also a certified fitness trainer. He left the corporate world to focus on a variety of community based outreach programs and to further develop his yoga practice. Michael has dedicated his time and passion towards demystifying yoga by breaking down the powerful and positive aspects of the practice in a direct straight forward manner which these at-risk populations can relate to. Michael has been on the board of several non-profits in the greater Philadelphia area. He has a Bachelor of Science degree from Villanova University and a Masters of Business Administration from the Wharton School at the University of Pennsylvania. He is also the author of Going Om: A CEO's Journey From a Prison Facility to Spiritual Tranquility. Mary Fetterman is the founder of the online yoga directory, My Area Yoga, offering service in Chicago, Washington D.C. and Philadelphia. The directory serves as a calendar, blog, and information hub for the wellness and yoga community. My Area Yoga also hosts two annual yoga events called Namas Day in the Philadelphia and Washington DC areas. The yoga festivals bring local presenters and teachers together in a one day celebration of wellness. In addition, Mary is a trained and experienced yoga teacher. She taught classes for over 10 years before stepping away to run My Area Yoga. Mary brings her passion and insight of the local yoga community, along with her entrepreneurial ambitions, to support TYP’s goals. Oneika is an E-RYT and LMT. She did her 200-hour teacher training with Floryoga in 2012. She completed therapeutic yoga teacher training with Cheri Clampett and Arturo Peal at Integral Yoga in New York. Oneika finished level I of Yoga for Cancer and Chronic Illness with Jnani Chapman at the Integral Yoga Institute in NYC. Her writing about yoga and meditation has appeared on MindBodyGreen, BlogHer and other websites. Oneika is also an official blogger for Meatless Monday, part of the Monday Campaigns, a non-profit public health initiative. Oneika is also Vice President of Liberation Prison Yoga. Oneika believes in the idea of living life as a student, consistently learning and sharing ideas with people around her. She applied this philosophy as a retail leader taking teams through transitions and building a strong sense of connectedness. As a yoga yoga/meditation teacher and massage therapist, Oneika works with groups and provides private one-on-one instruction or therapy and is an E-RYT. Her goal is to passionately inspire her community to take an active role in maintaining optimal health and create sustainable social change. Viktor has over 30 years of experience as a technology strategist and executive advisor. He is President and CEO of M2VP - a company that multiplies the effectiveness of business leaders. He is president of the board for Collegium Charter School and has served on boards for the YMCA, local hospitals, regional networking groups and numerous other non-profit and for-profit boards. Bruce is the President/Owner of Risler Financial Management, LLC in Plymouth Meeting, Pennsylvania, with professional expertise spanning more than 2 decades. He is a Pennsylvania Freemason and an Eagle Scout. Community-minded, Bruce has served as Men’s Club President of Beth Tikvah B’nai Jeshurun in Erdenheim, Pennsylvania, and remains an active member of his Synagogue. A proud supporter of Susan G. Komen for the Cure, The American Cancer Society, National MS Society, and Laurel House, amongst others. Through hard work, perseverance and a true dedication to education, Beverly Stewart, M.Ed. has turned what was once a fledgling tutoring service into the largest, most comprehensive provider of educational services in Delaware and the surrounding tri-state area. Her successful business model and swift rise has been documented in Entrepreneur magazine, the Philadelphia Business Journal, and in the nationally released how-to book for aspiring entrepreneurs, The Educational Entrepreneur: Making a Difference. Beverly’s success began with Delaware’s now iconic Back to Basics Learning Dynamics, Inc. The company provides over 125 wide-ranging educational and related services including 1-on-1 tutoring in over 60 subjects, translating and interpreting in over 20 languages, speech and occupational therapists, behavior and reading specialists, paraprofessionals, ELL and computer lab teachers, RTI support and homebound services, psycho-educational testing, 1-on-1 test prep for the SAT, PSAT, SAT II, ACT, GRE, PRAXIS, GED, and HSEE, professional development, summer school, original credit and credit recovery. And, Beverly also offers her expertise to budding or seasoned entrepreneurs directly through her educational consulting company. Her 30+ years of business experience are invaluable when guiding others to navigate their path. Beverly is more than simply a talented or successful individual. She is truly dedicated to changing lives, one student at a time.